How to Make Car Accident Police Reports in Texas | Branch & Dhillon, P.C.Branch & Dhillon, P.C. If you are involved in a car accident in Texas resulting in property damage exceeding $1000, injuries, or death, you are obligated by Texas law to report the accident to the police within 10 days from the date of the collision. Consequences of failing to report a vehicle crash to law enforcement include a $5000 fine or even jail time. Even if you aren’t sure an auto accident caused at least $1000 in property damage, you should still report the accident to avoid penalties. If you chose to file an accident report via TxDOT instead of waiting for law enforcement, remember to take pictures of all vehicles involved in the collision, get witness statements (if available), and exchange relevant information with other drivers and/or passengers. Be aware that filing reports are not the same thing as filing insurance claims. Even if everyone involved has agreed to settle the incident without contacting their auto insurance companies, you can still file a police report. 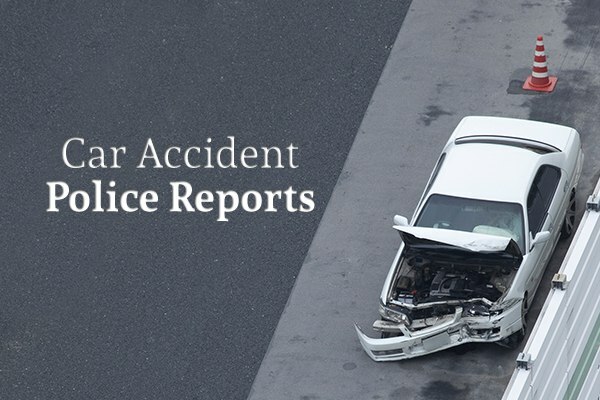 What Information should be Included in a Texas Car Accident Police Report? Is There a Statute of Limitations for Filing an Auto Accident Report in Texas? Yes. The Texas Civil Practice & Remedies Code section 16.003 states that claims for injuries – whether claims are filed by pedestrians, drivers, motorcyclists, or passengers – must be made within two years of the accident’s date of occurrence. This statute also applies to claims filed over vehicular damage. However, this two-year deadline may not apply if someone sustained fatal injuries due to a car accident. Family members wishing to file a wrongful death lawsuit in Texas against at-fault drivers could have the two-year deadline extended up to 12 months. In addition, this extension “clock” won’t begin running until the person has died, which could be on a different date than the collision’s date. What Should You Do After Filing a Collision Report in Texas? Contacting a personal injury attorney as soon as possible after filing an accident report is essential if you want to receive adequate compensation for your damages and injuries. Vehicle insurance companies are known for engaging in tactics meant to reduce or delay payment to their clients. They are in the business to make money and often make it difficult for you to receive what is owed to you. If you have been in a vehicle collision, contact Branch & Dhillon today to schedule a consultation. We will aggressively pursue your case on your behalf so that you do not have to worry about anything except recovering from your injuries. Call us today for immediate assistance.